How To Ask Someone Out – It’s About Risk Management. When you ask someone out you are full of excitement at the prospect of the person saying yes but you are probably also full of fear at the prospect of being told no. So, to some extent, asking someone out is about risk management. So how do you minimize the risk of rejection when you ask someone out? If it is someone you already know, one of your circle of friends and aquantances for example, then you have the opportunity to work on the relationship — such as it is at this stage — to build and develop it before you put your pride at risk by asking out the woman or man concerned. But, and it can be a big ‘but’, if you go over the top in making it clear to them that you want to start a dating relationship with them then you run the risk of being rejected just the same. So, you have to play the ‘friend’ game, the scenario where you want to get to know them as a friend, the scenario where if you were put on the spot and asked about your intentions by a third party you would be able to say that all you are offering at this stage is friendship. I must mention at this point that of course the whole thing of how to ask someone out is a whole lot less complicated if you are approaching someone through an online dating site. Naturally I’m biased, but it’s certainly more straightforward to ask for a date if you have met someone through a website that is actually intended for dating! Going back to the scenario of minimizing the risk of rejection when asking someone out who you already know, it becomes a question of how far can you go down the road of expressing your true feelings but still be in the fall back position that you are just being a friend if the worst comes to the worst. I’m no poker player but perhaps it’s like a game of poker — at what point do you show your hand..? If you can bear to do it maybe it’s better to risk rejection and take it on the chin by just asking out the woman or man you are interested in and seeing what happens. Perhaps this is better in the end than playing a long winded game where maybe it’s a date you’re going on and maybe it isn’t and all the confusion that can result. For one thing you don’t want to come over as an indecisive person who doesn’t know their own mind and causes confusion where ever you go. There’s much to think about here if you are in the situation of knowing someone who you want to ask out. For example, if you fear being rejected you must make sure you ask them out when you are alone with them and not in front of other members of your social group. Even if you are rejected the woman or man concerned may still have the decency to keep your invitation to themselves and so not risk your standing within that social circle. How to ask someone out is less of a problem if you are both members of a dating site. If you want to reduce the blatancy of being a member of a dating site then you could do a lot worse than joining our recommended site PenPalsPlanet.com. There you can if you want to play the game of pretending you are just there to meet new friends, which does give you plenty of time and opportunity to weigh up new people in your life before you consider wanting to go out with them or not. My best advice is don’t fret too much about how to ask someone out. There is risk involved so just accept that and if necessary be prepared to take that risk. This is really an ‘article stub’ at Yahoo Answers as there’s not much there but the reason I’ve included it is because of its links to other resources on the topic. Links to creative ways to ask someone out on a date which are user experiences. How to ask someone out online. This is for someone you already know: how to avoid asking face-to-face but finding a way to ask them online. Quite useful in avoiding embarrassment. How to ask out a female friend. Advice on how to flirt from Singledating.com. An article at SingleDating.com from a guest author on how to flirt with a single women. We have lots of useful articles like this about so many aspects of dating – check out our site map. Will I ever get married..? 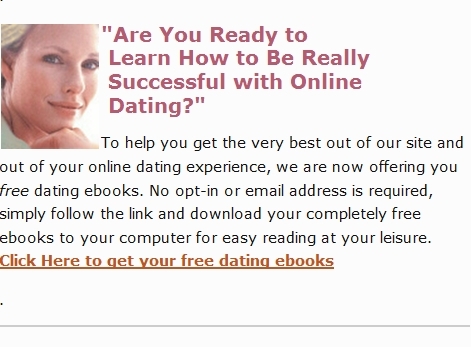 Please check the address bar of your browser — if you aren’t looking at this “How to ask someone out” article at http://www.singledating.com/blog/ then you are probably reading an unauthorized copy as this content is exclusive to SingleDating.com and is copyright. Please navigate directly to www.SingleDating.com/blog now for the real page. Don’t forget to bookmark this post about how to ask someone out.